Imagine the joy of opening your door and finding a selection of premium, high-quality wines on your doorstep? Well, that’s a reality when you use DRINKS, the online wine marketplace that disrupts how beverages are traditionally sold. This e-commerce platform provides an end-to-end solution for wine lovers: you can get your favorite wine delivered to your doorstep, local pickup locations, or even your office. DRINKS offers a personalized experience and its Wine- As-A-Service software provides its partners with full integration, compliance, and fulfillment of wine programs, allowing them to access a new, untapped source of revenue. 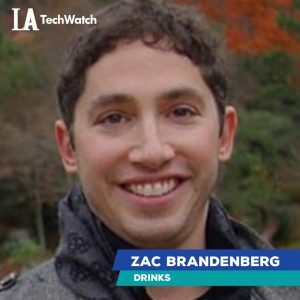 LA TechWatch chatted with CEO and cofounder Zac Brandenberg about DRINKS recent funding, which brings it to a total of $28.3M over three rounds. Series B. 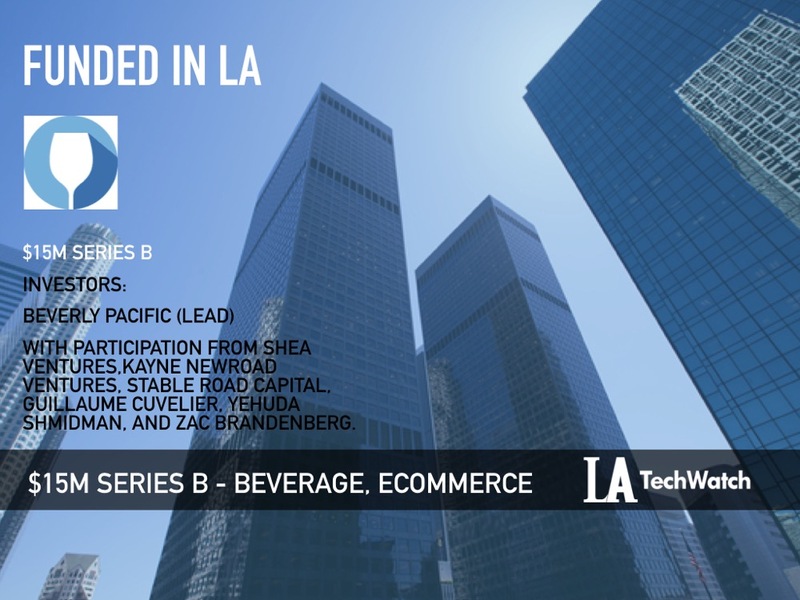 Round was led by Beverly Pacific, with participation from Shea Ventures. Other investors included Series A lead Kayne NewRoad Ventures, Stable Road Capital, Guillaume Cuvelier, Yehuda Shmidman, and myself. Tell us about DRINKS product or service. DRINKS is disrupting the way wine is sold by leveraging its industry-leading digital reach and marketplace efficiencies to bring consumers the highest quality wine at the lowest prices, direct to their door. DRINKS operates the leading consumer marketplace and platform for high quality, affordable premium wine. The company’s proprietary e-commerce platform provides optimized Direct Response acquisition, multiple storefronts, and personalized experiences. DRINKS offers a plug-and-play platform for digital merchants and brick-and-mortar retailers alike to rapidly start marketing award-winning wine portfolios to their customers across the USA. DRINKS provides an end-to-end solution, from marketing a customized selection of wines specific to each customer, to state-level compliance, to delivery to a home, office, or one of 10,000 convenient local pickup locations. Our patented technology leverages our 5M+ transactions, behavioral data, and demographic data to optimize wine recommendations. What inspired you to start DRINKS? After our executive team started and grew a number of successful businesses together, we looked for industries that lagged in meaningful technology innovations. Fairly quickly, we zeroed in on wine, which was a product we all enjoyed. 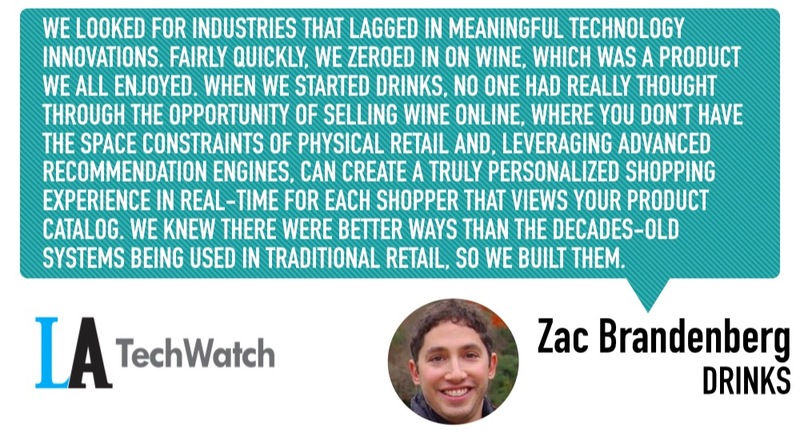 When we started DRINKS, no one had really thought through the opportunity of selling wine online, where you don’t have the space constraints of physical retail and, leveraging advanced recommendation engines, can create a truly personalized shopping experience in real-time for each shopper that views your product catalog. We knew there were better ways than the decades-old systems being used in traditional retail, so we built them. Our online direct-to-consumer business is the only digitally-native wine marketplace in America that targets everyday wine drinkers with price points of $8-$15, without a subscription requirement. Our wine as a service platform is the only solution that allows both licensed and unlicensed retailers to market wine online and ship to customers’ home, office, or one of the 11K local pickup locations. Our Wine-As-A-Service software fully integrates curation, compliance, and fulfillment of wine programs for our national, regional, and specialty partners. What market does DRINKS target and how big is it? We are targeting the $63B annual US off-premise wine market with a focus on premium and super-premium wine. Why do people think that expensive wine tastes better? How do you develop a sophisticated wine pallet? Consumers perceive that more expensive wine tastes better. You can actually see the pleasure centers of the brain light up with activity in MRIs when people think wine is expensive, regardless of the actual price of the liquid they’re drinking. As a marketer, this is very useful information. You can see wineries taking advantage of this every time you browse for wines: many inexpensive wines now look very expensive. Our investors see massive growth and disruption in a very large market that has not seen meaningful change in the way wine is sold in the 85 years since prohibition. For cocktails in the downtown area, our pick is the bar at Otium restaurant next to the Broad museum. The drinks are always amazing and where else can you relax next to massive Damian Hirst mural?